To discuss one by one the functions or benefits of Android smartphone is never endless, and indeed we can not deny again that Android has a myriad of benefits to help and facilitate all human work. Even today the human task is almost completely replaced by this sophisticated android device this one ya buddy. But from the other side of this android is very useful in facilitating all the activities that people do so that we can quickly finish the job because of the positive side of the android. Well, talk about the Android smartphone, do you know pal that android can also be used to print file photos/documents directly from your android phone? Do you just know this android phone function this one? For you who are curious about it, this is where you will know the truth. Indeed from most people in printing documents and photos/images must be through a laptop / PC. It is actually very inconvenient ya buddy because we have to turn on the computer first, search for the document and after that, we can only print the document. But now, by utilizing android smartphone we can print photos or documents more quickly. In fact, Android is not only we can use for communicating tools, but we can use also to help our daily work, especially the problem of printing documents/photos. 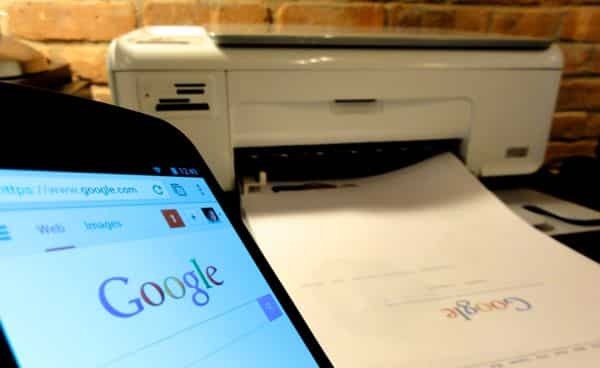 Usually, Android is now equipped with Cloud Print feature where we can print documents by connecting Smartphone with Printer. It is fast and efficient enough to print wirelessly and without turning on the computer. Well for you who are curious about how to print documents or photos from android with ease, here I will explain a little about the steps - steps that you can try to print or print document files/photos from Android. But the way I recommend it does not use Cloud Print feature but by using another application called StarPrint which is a free printing application for smartphones or Android tablets. There are several ways you can try using the StarPrint app, from using a USB cable, Bluetooth, or WiFi Connection. This StarPrint application also supports more than 3000 printer models in the world such as Epson, Samsung, Canon, Dell, Lexmark so on. But unfortunately, when you print a document using this StarPrint app, there will be a small Watermark in each document. Well for you who might be interested to try this StarPrint application, please refer to the following steps. First, you need to download and install the StarPrint app first in the Google Play Store. Next please connect your Android Smartphone with Printer using the USB cable. Then open the application, then search for documents, photos, or images you want to print. After you select it, just select " Ok". After that, you will go to the Print Previews page. On this page, you can set the paper size and others as you wish. Next please scroll down to set Copies in the form of the sheet you want to print/print. To add and subtract please choose button (+) and (-). When you have finished, you can press " Print " or select the name of the printer you are using to print. Wait for the printing process to complete. Similarly, an explanation of How Easy to Print Direct From Android With USB, Bluetooth, and WiFi. Hopefully, the information and the way that I recommend in this article can provide benefits for your readers. Maybe if there is something to ask about this discussion, please write through the comment field below.